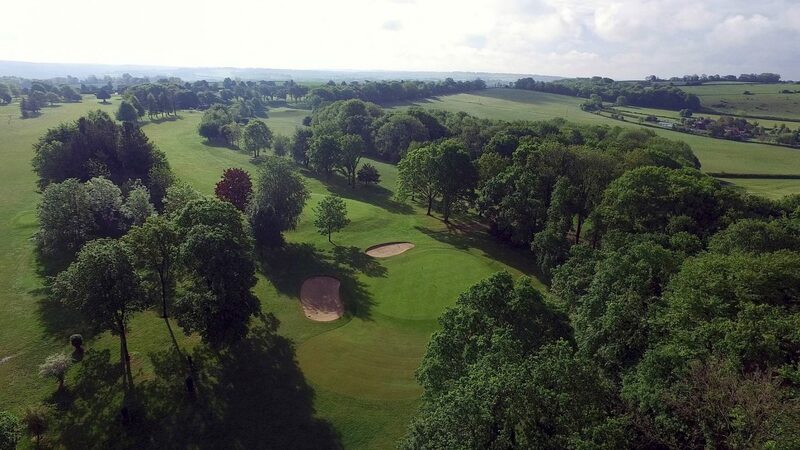 Corhampton Golf Club, is a ‘Hidden Gem’ of Hampshire Golf situated 10 miles south of Winchester (M3) and set in the South Downs National Park. The course is a classic Down land course, which drains exceptionally well, and this allows for mud free golf all year round. It plays 6,378 yards off white tees, 6,082 off yellows and 5788 off reds. With its combination of natural contours, mature woodland and artfully placed bunkers it provides a good test for low and higher handicappers alike. The status of the course is further enhanced by having 2 recent Walker Cup representatives as members, Scott Gregory (2017) and Neil Raymond (2013). Neil is now pursuing his career in the professional ranks on the Europro Tour. Whilst out on the course your refreshment needs are met at‘Spooners’ halfway hut which provides hot and cold drinks, food and confectionery all year round. The course and its facilities are available to visitors from Monday to Friday throughout the year, and with society packages available for groups of all sizes including reduced price Winter Warmers. We look forward to welcoming you in 2018. Corhampton Golf Club is situated in the centre of an imaginary triangle, the three points being Winchester, Southampton & Portsmouth, 10 miles from Fareham in the beautiful Hampshire countryside. Easily accessed from the M3 or M27 and less than 2 hours from the centre of London. The Crown Inn, Bishops Waltham. We are proud of our reputation as a friendly and welcoming club. Visiting golfers and societies can expect a warm welcome in our spacious clubhouse whist a well-stocked bar and first-class home-cooked food provide a perfect accompaniment to your round of golf.